Join your favorite dinosaurs, Littlefoot, Cera, Ducky, Petrie, and Spike, on their exciting adventure to rescue Littlefoot's father. 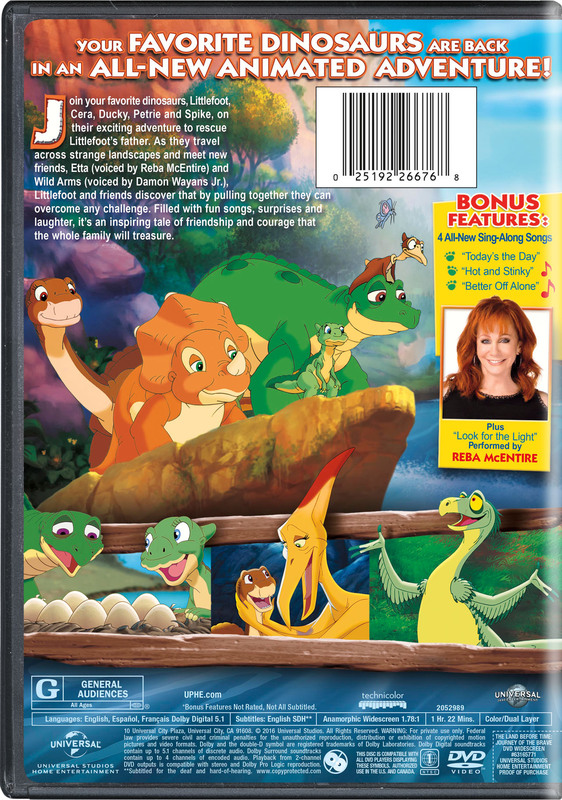 As they travel across strange landscapes and meet new friends, Etta (voiced by Reba McEntire) and Wild Arms (voiced by Damon Wayans Jr.), Littlefoot and friends discover that by pulling together they can overcome any challenge. Filled with fun songs, surprises and laughter, it's an inspiring tale of friendship and courage that the whole family will treasure.